Divorce is oftentimes one of the most challenging events in an individual’s life. A once-meaningful relationship has turned sour, and the family falls apart. Enduring the uphill battle of divorce proceedings is an emotional and financial struggle. 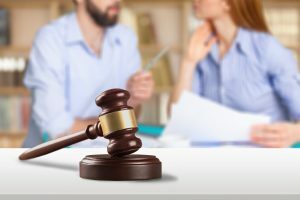 Having a general understanding of the basics of Illinois divorce law can somewhat ease the complicated process of navigating through the legal system. Many states will vary according to divorce law. here is what Illinois states. If you and your spouse agree to dissolve the union and are on friendly terms, an uncontested divorce will save each party significant hardship. You’ll avoid going to trial if all matters related to the divorce can be handled by filing a joint petition and attending the final hearing. The length of marriage has been eight years or less. The couple have no children, and the wife is not pregnant. Both parties have lived apart for six months and are separated. The right to receive alimony is permanently waived by both spouses. Either spouse has lived in Illinois for 90 days prior to filing for divorce. A joint simplified dissolution requires both spouses to agree on all the major points of the divorce. While a friendly divorce is rather uncommon, contested divorces appear more frequently before a judge. Spouses who wish to legally separate ways should start by filing for divorce. The individual who first files the case is known as the plaintiff. The defendant is the spouse who must answer the initial petition within 30 days. At least one party must be a resident of Illinois for 90 days in order to file for dissolution in the state. A non-resident spouse, who is not under the jurisdiction of the Illinois court, cannot be ordered by the court to pay for child support, alimony, or debts. The divorce process is lengthy. Paperwork alone takes one month to complete before receiving a final court date. An unresolved case will go to trial. Divorces can linger in court for a minimum of one year. A spouse whose divorce is granted can request that her maiden or former name be reinstated. Fault-based grounds like these rarely make an impact on the divorce outcomes, since the division of property and alimony decisions enforced by the courts do not rely on them. 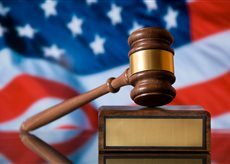 Rather, the judge will consider the faults when evaluating matters surrounding child custody and visitation. No-fault grounds for divorce do not require proof of any marital misdoings. When children are involved, the court may set aside a portion of the estates in a trust or fund to support the overall welfare of any minor or dependent children. When determining child custody, Illinois courts favor joint custody, especially when the situation will be in the best interests of the minor. Spouses entangled in the intricate web of divorce, with its seemingly limitless laws and requirements, should seek the services of an experienced family law attorney, one who can provide a clear path toward marital dissolution. Berry K. Tucker & Associates, Ltd. retains a staff of experienced divorce attorneys. Our team offers over 50 years of combined experience in all areas of divorce law. Our lawyers stay knowledgeable about current Illinois divorce laws and practices, which are updated by lawmakers over time. The Attorneys at Berry K. Tucker & Associates, Ltd. If you have any questions or need help with your divorce, give the attorneys at Berry K. Tucker & Associates, Ltd. a call and we’ll schedule an initial consultation. The Berry K. Tucker & Associates Ltd. team of divorce lawyers serve our clients in several areas revolving around divorce. Child support, visitation, spousal support, and division of property are common areas that the divorce lawyers handle with ease and dedication. Other relevant areas of expertise include pre- and post-nuptial agreements and post-decree issues. While it helps to be familiar with Illinois divorce law, you can rely on the divorce lawyers at Berry K. Tucker & Associates, Ltd. to manage your case with professionalism, experience in Illinois divorce law and commitment to your case. Give us a call at (708) 425-9530 in Oak Lawn, IL.